305 INTERNET – Miami Bilingual Internet Services, Websites, Web Hosting, SEO, E-Marketing, Domains, WordPress, Social Media – We are Web Hosting, Web Marketing, WordPress experts. We Are Bilingual Website Services Experts. From websites and online stores, to marketing and analytics. We offer everything your business needs to succeed online. We offer powerful and easy to do-it-yourself website services. If you prefer to let us do the heavy lifting, design and deploy the entire project for you, we can do that too. Create your free account with our easy sign up process. No credit card required. Add your info, content and products. When you are ready to go big, upgrade your free website to a premium website ready to handle traffic and sales. 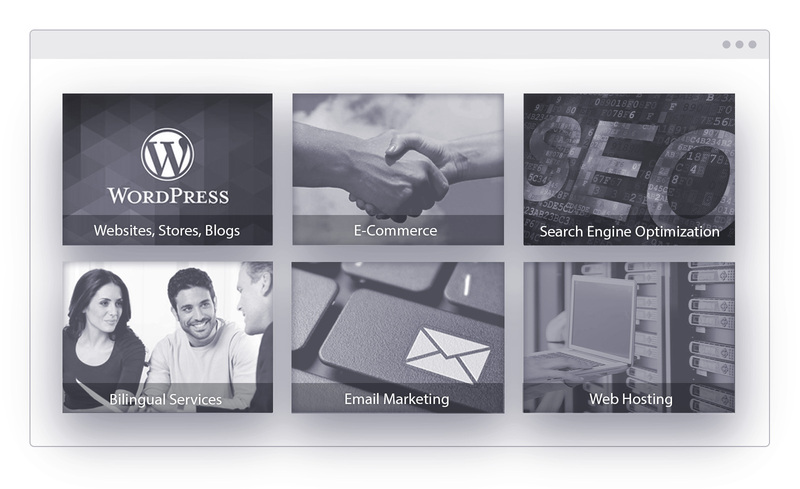 WordPress powers over 30% of all websites on the internet and we include it with every account. 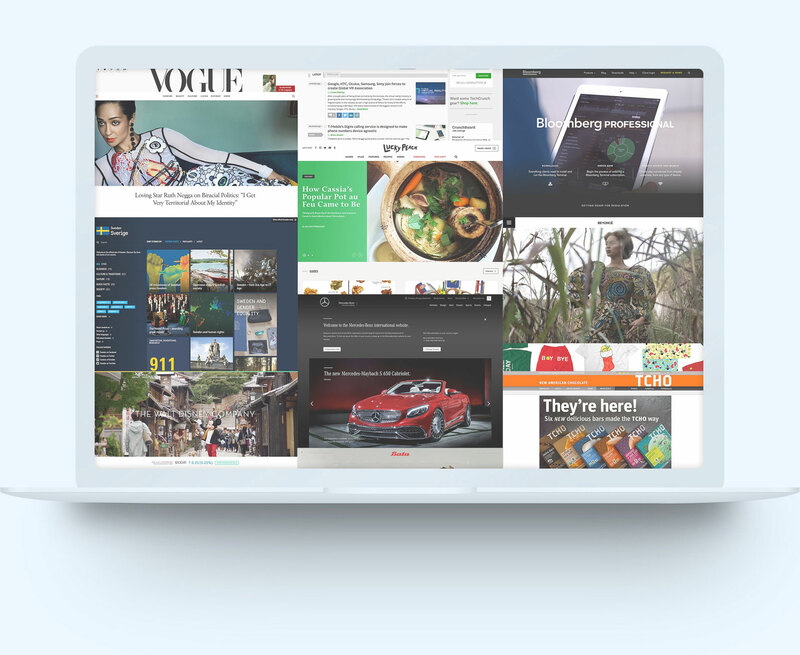 We provide you with the industry-leading WordPress website builder together with WooCommerce, the leading ecommerce solution. Be where your customers are: Their Email Inbox! Build a great relationship with your clients by sending permission-based promotions and customized emails that they will love. We include the powerful cPanel manager so you can easily create email accounts, manage files and monitor statistics important to you. Most business today is a result of Google searches and first page results. Our SEO can help you get listed on the top search results. Start Promoting and Selling your Products Online Today! Whether at your desktop computer or anywhere in the world from your phone or tablet, you can easily monitor and modify your online store or blog. No matter who you are or what kind of business you operate —photographer, restaurant owner, musician, hotelier and more, you can manage your website and business all in one place. With 305 INTERNET and our powerful tools, the possibilities are endless. We offer all of the services necessary to make it easier for you to grow your business or brand online. Easily send beautiful emails, start your own blog, get booked online, open your own online store and more. Add email registration forms to your websites, create newsletters, eblasts and marketing materials, send them to your subscribers and watch your sales skyrocket. We offer a pricing plan for every budget and every business requirement. Sell Unlimited Products, View Analytics, Create Promotions, Coupon codes, etc. Compare to godaddy at $19.99/year. We will beat any other competitor’s price. Increase your sales, traffic and popularity by getting listed at the top of Google, Bing and Yahoo search results. Earn 15% of every sale that you refer to us. 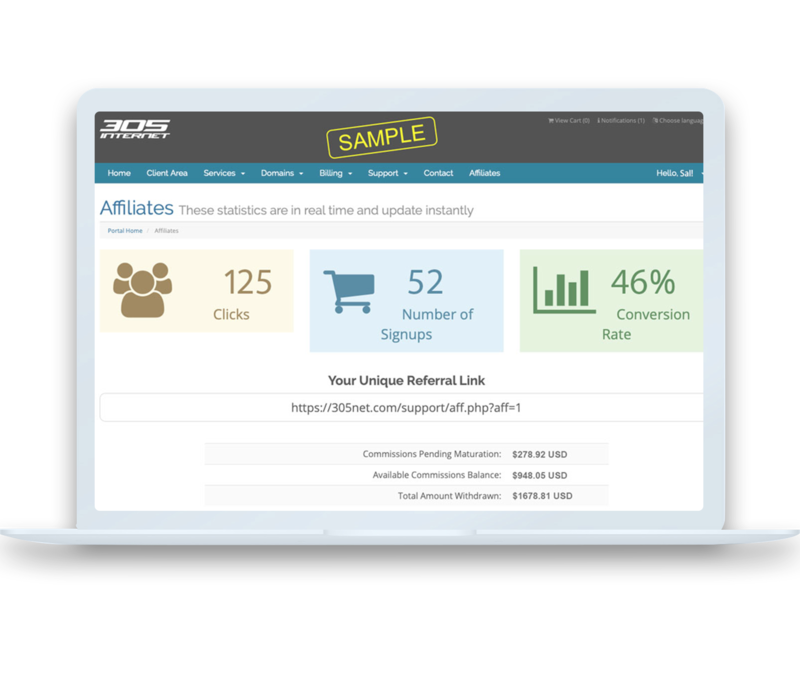 It’s FREE to join and you’ll be able to monitor every visitor and every sale that you generate. © 2019 305 INTERNET - Miami Bilingual Internet Services, Websites, Web Hosting, SEO, E-Marketing, Domains, Wordpress, Social Media. All Rights Reserved.